President Donald Trump Friday morning signed Congress' government funding bill that includes measures to ease meaningful-use requirements and to expand telehealth access for Medicare beneficiaries. The meaningful-use bill, introduced last summer, could make meeting electronic health record meaningful-use requirements easier since they no longer have to become stricter over time. That's a change to the way things have been since the passage of the HITECH Act, which required the HHS secretary to make meaningful-use stipulations increasingly "stringent." With that provision of the HITECH Act, legislators intended every-increasing regulations to encourage providers to improve their use of EHRs. But in reality, providers have faced uncertain and unstable requirements and deadlines, and some have had trouble getting EHRs in place at all. In certain cases, providers struggling to meet the meaningful-use requirements have filed for hardship exemptions. The stated goal of the bill is to reduce those exceptions—or, in other words, to increase the number of providers who succeed in meeting requirements. Though the legislation affects only hospitals and outpatient Medicaid providers, it's still a "huge win" for providers, said Robert Tennant, director of health information technology policy for the Medical Group Management Association. "I don't think the government recognized how difficult it would be to move from stage 1 to stage 2 to stage 3 requirements and the significant costs involved," he said. "We hope that it signals an interest in Congress in having the administration and HHS not make these quality reporting programs so onerous that it results in large swaths of providers not being successful." The College of Healthcare Information Management Executives also praised the bill. 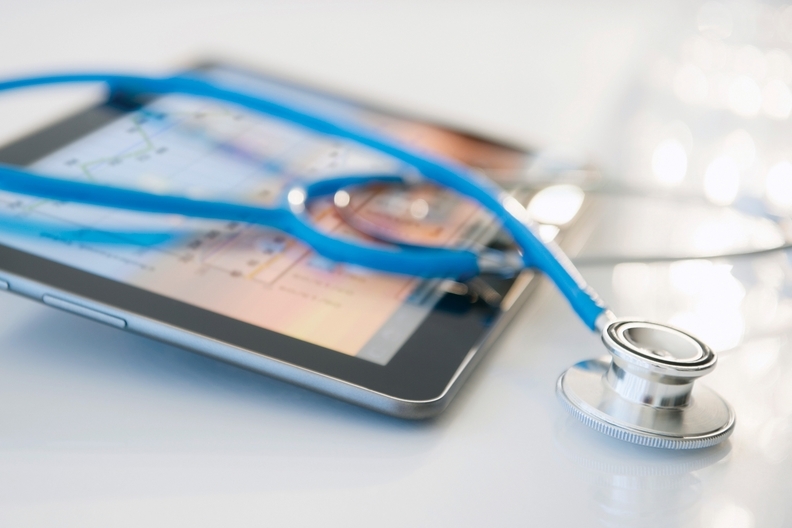 Now that the meaningful use has successfully catalyzed the adoption of EHRs, the industry must think about what it can do in the future, said Mari Savickis, CHIME's vice president of federal affairs. "Removing the 'escalator clause' would mark an important step forward and allow providers to focus on optimizing existing workflows, bring them greater stability, and leverage technology solutions they best see fit to serve their patients rather than having to overly focus on meaningful-use requirements," she said. The Senate's funding bill also includes the CHRONIC Care Act, which broadens Medicare coverage of services for chronically ill patients, including telemedicine delivered at home. It also expands telehealth coverage for certain patients, such as those who've had strokes. "CHRONIC Care Act is a huge opportunity to move the ball forward in telehealth," Tennant said. "It could really be a good jump start to telehealth in the country." But the industry still has to work out the kinks, such as reimbursement and internet access, he added. Industry group Health IT now also praised the legislation. "For too long, Medicare has lagged behind other health payers in covering and reimbursing telehealth services," said Health IT Now executive director Joel White in a statement.